Tonight's meditation through 8pm BST focuses on the amethyst crystal cairn here at Old Nisthouse, Orkney which is currently programmed to send strength, support and healing to all in distress across the globe. 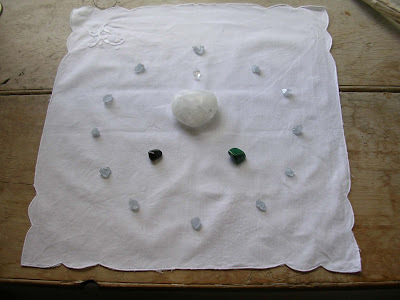 We hope you can join us from where ever you are based through the above time, by visualising the crystal, shown below, in meditation, positive thought or prayer to help all in need. The cairn will also remain open with the above focus until further notice and can be connected to at any time. This meditation is in particular connection to the lands and people of Southern Africa affected by Cyclone Idai, and to all those affected by recent terrorist activities in Christchurch, New Zealand. The meditation will use a Pure Grief Set combined with 12 celestite as shown below. 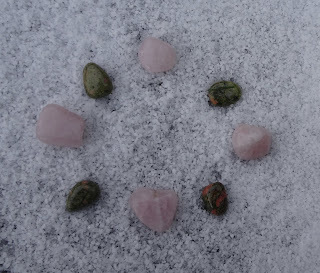 Hope you can join us in meditation, positive thought or prayer, from wherever you are based by visualising the crystals shown below at the allotted time. The amethyst crystal cairn here at Old Nisthouse was redirected yesterday to send help to all in distress across Southern Africa in relation to Cyclone Idai. Please feel free to connect to the cairn at any time in meditation, positive thought or prayer to help all in need in this region. This meditation will use the beautiful Pure Peace set shown below. Hope you can join us from where ever you are based across the globe by visualising these crystals in meditation, positive thought or prayer. May peace be with you all. We continue with our focus to send Peace and Unity to all across the globe, tonight through 8pm GMT. 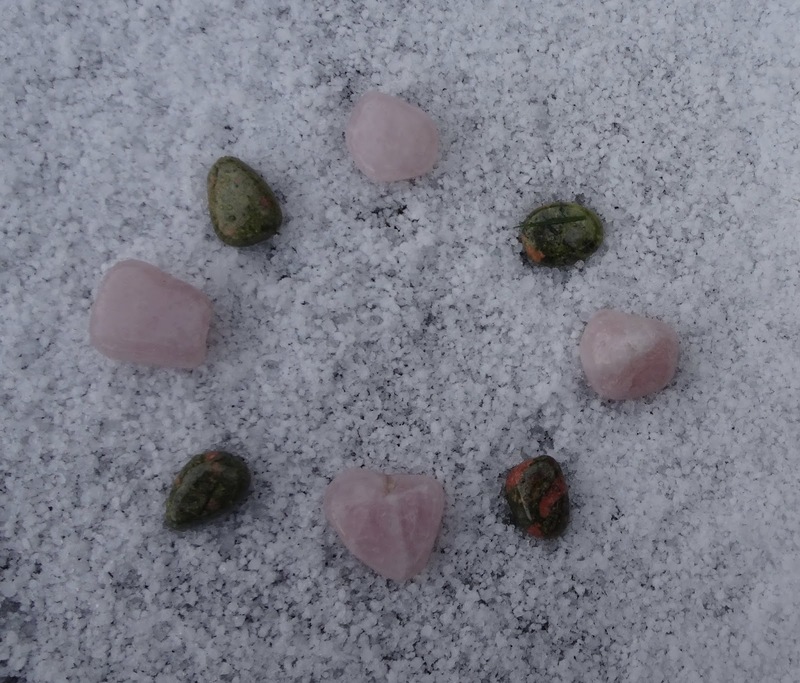 For this meditation the amethyst cairn here at Old Nisthouse, Orkney, will be continue to be used, to which the rose quartz and unikite crystals, shown below, have been added. The cairn will remain open in this way, over the a further week and can be connected to at any time.